Welcome to the CNA Practice Test for Basic Restorative Services! Restorative care is helping patients regain physical strength and movement following an injury or surgery. It can be a lengthy process, which involves ongoing care and support by the CNA. The goal of restorative care is to maximize independence and function for each individual. The CNA is an important team member, helping patients relearn to do their own care and become active again. Your patience and encouragement make a huge difference in their recovery. 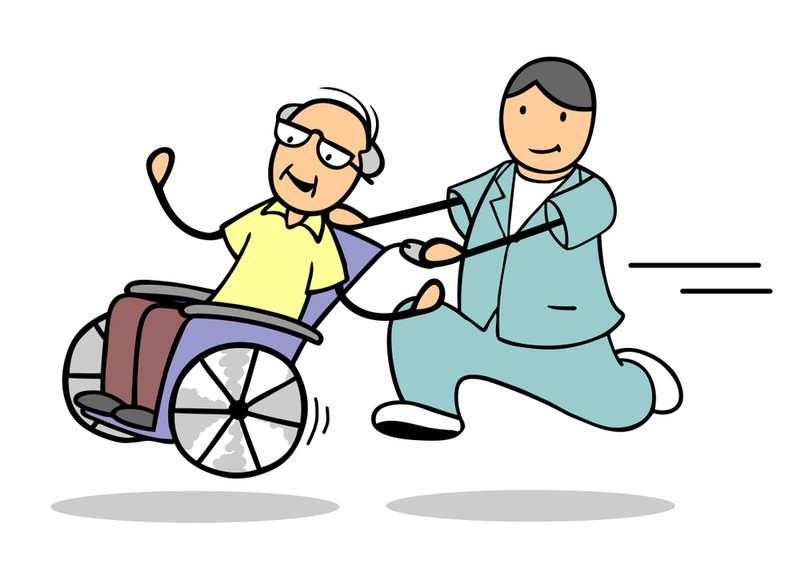 Many CNAs begin their careers in restorative care facilities, such as assisted living or nursing homes. Allowing residents to do as much as possible, and to teach them safe ways to do daily activities can be satisfying work. Often a CNA will choose to stay in these settings. As you study for your CNA examination, plan for 3-5 questions (about 5% of the total) on restorative care, depending on how many total questions your state requires for the exam. The restorative services questions may be part of the Physical Care Skills category, or it may be its own section. Just as in your actual CNA written examination, the CNA.plus practice tests are taken online. You can see your progress on the grid, at the top left of the computer screen. Each correct answer will make a square turn green, while an incorrect answer will make the square turn red. Underneath the grid is a bar that says “Restart.” You can begin your test again at any time. If you leave a test before it’s finished, it will remind you where you are when you return. To mimic the setting of your actual CNA examination, find a place that is quiet and empty. Choose the practice test you’d like to study. Just like the real test, there is a question with four multiple choice options. Read the question carefully and try to think of the answer. If you need help, click on the Hint button that’s under the fourth option. We’ve written a sentence to remind you of the answer. If you select the correct response, you can go to the next question. If you make a mistake, an explanation will immediately pop up. This reinforces your learning. Try to take all the practice tests at least once. You’ll notice that the questions are rearranged each time. CNA.plus offers an electronic flashcard learning style, proven to help you remember better. Good luck on your CNA examination day! We wish you an exciting and successful career!